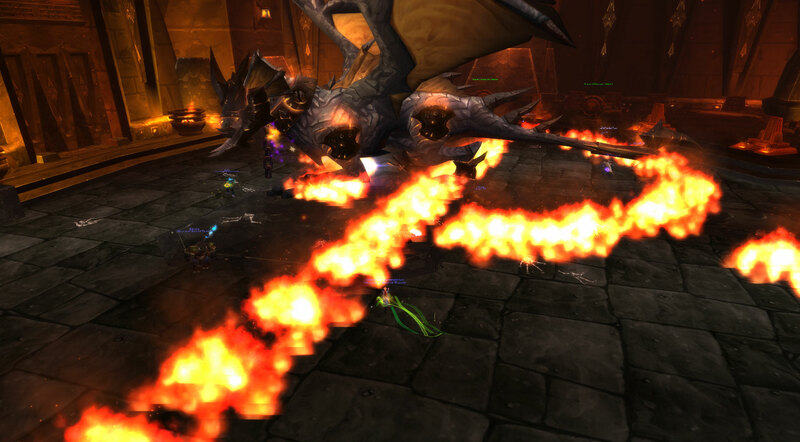 No, I wasn’t tanking this boss, but some accidental fire mishaps ending up with us writing a letter. Besides, I don’t usually include a screen shot, be grateful. So it was my first time and I rocked it! Just a few days ago we’re about to start forming up our raid for the night and noticed our sign-up list was lacking some key features. Namely, we were missing a second tank. I actually could have taken the easy way out and let our shaman take his alt Paladin. He is completely capable and geared almost completely in epics. If you’ve been reading, I did have a series of blogs about being scared to tank. This shaman of ours really wanted to gear his main and also really doesn’t like tanking. I decided to take up the challenge and let big ugly things beat on my face for the next 3 hours. ever see you again. Whatever the reason, I won’t have any qualms with tanking some more in the future. It can be pretty nice occasionally, though, to not tank or heal some raids. Just getting to pewpew/smashsmash a boss and move out of stuff occasionally is a lot more relaxing. This entry was posted in Daily and tagged BWD, death knight, omnitron, raid, scared-to-tank, tanking, warcraft, wipe, wow. Bookmark the permalink.